The Sadler’s Wells’ Associate Artists, some of whom will form the upcoming ‘The Associates’ programme, represent some of the most exciting talent in contemporary dance today. For this particular programme at Sadler’s Wells, three Associates will present new and critically acclaimed work in February. Crystal Pite, Kate Prince and Hofesh Shechter will together celebrate the tenth anniversary of the first appointments of Associate Artists by Artistic Director and Chief Executive Alistair Spalding in 2004. Sadler’s Wells is a receiving dance house, however its Associate Artists mean new work is being created within its walls. Since the appointment ten years ago, over 90 productions have been brought to the stage, and even gone on to tour around the world. Each Associate has a unique style and approach to creating dance. Newest Associate Artist Crystal Pite will present A Picture of You Falling, a duet for a man and a woman. It centres on Pite’s fascination with the shared narratives that live in our bodies, the familiar repetitive storylines that move across cultures and generations, and the body’s role as illustrator. Inspired by the complex beauty of baroque music, Hofesh Shechter presents his new work, the barbarians in love, set in a sparse world in which six dancers move with mathematical precision and passion. Completing the bill is another new work, SMILE, choreographed and performed by Tommy Franzén and directed by Associate Artist Kate Prince. Inspired by the song Smile, originally composed by Charlie Chaplin, the piece looks behind the smiling face of one of the world’s greatest entertainers. In addition to Crystal Pite, Kate Prince and Hofesh Shechter, Sadler’s Wells’ other 13 Associate Artists are Matthew Bourne, BalletBoyz, Wayne McGregor, Jasmin Vardimon, Christopher Wheeldon, Jonzi D, Sylvie Guillem, Michael Keegan-Dolan, Sidi Larbi Cherkaoui, Akram Khan, Russell Maliphant composer Nitin Sawhney and lighting designer Michael Hulls. It has been announced that English National Ballet will become Sadler’s Wells’ first associate ballet company. This exciting relationship will see ENB present two annual seasons at Sadler’s in the spring and autumn of each year from March 2015 onwards. Future plans include a new triple bill with choreography by William Forsythe, John Neumeier and Jiří Kylián, the return of the acclaimed Lest We Forget programme, and a new production of Giselle choreographed by Akram Khan in autumn 2016. The company is renowned for its commitment to bringing ballet and contemporary choreography to the widest possible audiences, making it the perfect match for Sadler’s. The new contemporary work commissioned by Artistic Director Tamara Rojo has added an exciting dimension to ENB’s reputation and repertoire, the result of a clear vision for ballet in the 21st century. Rojo will continue to honour great classical works, keeping them relevant to today’s audience, while introducing new works into the company’s repertoire; the classics of the future with Sadler’s as a platform to present them. ENB’s new triple bill Modern Masters: Icons of 20th Century Choreography programme includes the UK premiere of Neumeier’s Spring and Fall, Forsythe’s In the Middle, Somewhat Elevated, which is new to the company’s repertoire, with Kylián’s Petite Mort completing the programme. Lest We Forget, inspired by the centenary of the First World War, includes work by three British choreographers; Dust, by Khan, looking at the empowerment of women in war as the main workforce in the country; Sadler’s Wells Associate Artist Russell Maliphant’s Second Breath about the sacrifice of men; and No Man’s Land by Liam Scarlett, exploring relationships and the loss and longing felt by women left behind by their partners. Meanwhile, Khan’s new version of Giselle aims to give this iconic ballet his own unique interpretation that fulfils an important part of the company’s vision; to commission and present innovative collaborations that honour and enhance both traditional and contemporary ballet. There has been lots of exciting news for English National Ballet recently, including its presenting Modern Masters: Icons of 20th Century Choreography at Sadler’s Wells in March 2015 (including works by Forsythe, Neumeier and Kylián), two new regional hubs for English National Ballet’s Dance for Parkinson’s programme, the My First Ballet series continuing with a brand new version of Swan Lake and a large international tour to take place in 2015. Modern Masters will include works from two choreographers new to the Company’s repertoire; William Forsythe’s In the Middle, Somewhat Elevated and Spring and Fall by John Neumeier. The triple bill also includes Jiří Kylián’s Petite Mort, first performed by the Company in Ecstasy and Death in 2013. Originally created for Hamburg Ballet, Neumeier’s Spring and Fall is not in the repertoire of any other UK company. Set to Dvořák’s Serenade for Strings in E Major, it features two couples and corps de ballet. English National Ballet is committed to presenting the very best of both traditional and contemporary ballet to audiences across the UK: bringing these works to Sadler’s Wells continues this commitment and offers the opportunity to reach new audiences. Continuing to develop its work with Dance for Parkinson’s, English National Ballet will expand its regional class programmes to include DanceEast in Ipswich and National Dance Company Wales in Cardiff. English National Ballet will take its critically acclaimed production of Coppélia to Southampton, Oxford and Bristol, and ahead of its run at the Coliseum in January 2015, Derek Deane’s Swan Lake will tour to Manchester, Milton Keynes and Liverpool. Making ballet accessible to audiences as young as three years old, the popular My First Ballet… series continues with My First Ballet: Swan Lake. The production will run at the Peacock Theatre, London, followed by a six week UK tour. Mid-September will see Sadler’s Wells present its largest ever celebration of lifelong creativity and the contribution of older artists with the Elixir Festival, running from 12–15 September 2014. Across the four days, Elixir Festival will feature a range of performances: contributing artists include Sadler’s Wells Associate Artist Hofesh Shechter, world-renowned choreographers Mats Ek and Ana Laguna, international guests and the Company of Elders among many others, including a new piece for retired professional dancers which will see them relive their swan songs. In addition to performances on the main stage the Elixir Festival offers the opportunity for further engagement with a series of workshops, events and a conference to close the festival. The Lilian Baylis Studio performance programme will feature older dancers from international companies and from across the UK, invited to perform after an international call out for contributors; reflecting the diversity of approach and responding to the fast-growing interest in performance work for mature artists. In the main house at Sadler’s Wells, ‘KnowBody’ encompasses a lifetime of experiences. The programme features artists Mats Ek and Ana Laguna, Sadler’s Wells’ Company of Elders performing a restaged excerpt from Hofesh Shechter’s ‘In your rooms’ and a new commission performed by the former professional dancers, some of whom are returning to the stage after twenty years or more. This unique evening will throw different light on dance and performance to challenge preconceptions and present contemporary dance illuminated by a lifetime of experience. In a juxtaposition of electronic music and contemporary choreography performed by older dancers KnowBody will present beauty and power in single gestures. The Art of Age Conference will take place on one day only, featuring contributions from artists, choreographers and leaders in culture, health and performance research. There will be a range of focuses, on dance, wellbeing and artistic perspectives, followed by a performance from the Company of Elders in the Lilian Baylis Studio. The UK’s largest dance house, Sadler’s Wells, has announced plans for a new performance space as part of its recent ten year plan. The vision of Artistic Director and Chief Executive, Alistair Spalding, is one which is ambitious, but exciting for a city in which dance thrives. The announcement came almost ten years after he was appointed in his current role, and outlines plans for the next decade. The main crux of the plans is to establish an additional, fourth performance space for Sadler’s as one of the world’s leading dance organisations, with the expansion backed by a commitment to invest £5 million in commissioning new dance works. The new venue will house 500 seats in order to present new, mid-scale contemporary work in addition to the main dance house and the smaller Lilian Baylis studio theatre. London is lacking in a space of this kind, and it is hoped that the building of one will help confirm London’s position as a global centre for the art form. Despite the fact Sadler’s Wells is a dance powerhouse, the demand for dance in the capital is continuing to grow, meaning the gap for a mid-scale space must be filled. 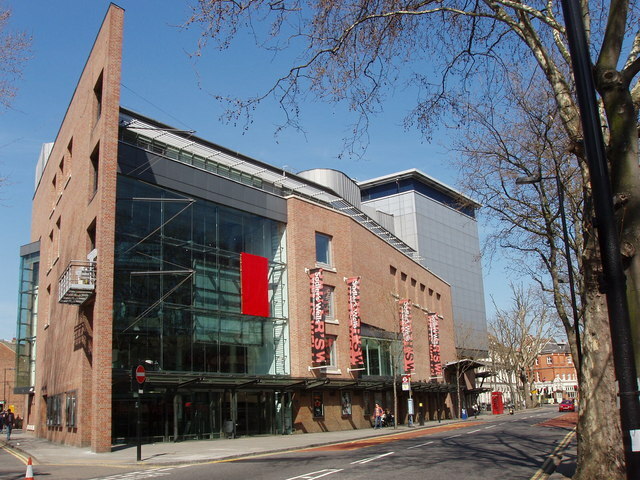 Spalding believes the new building will give creative talent a proper chance to develop for the future growth of the art form by expanding the current base and without losing the unique quality and atmosphere that is associated with Sadler’s Wells. As a rule Sadler’s has been transformed from a receiving venue for other companies’ productions to a venue that is celebrated for supporting, commissioning and producing original, new work which it presents nationally and internationally. The dance house aims to present the busiest season of dance ever in the theatre’s 331-year history, with a total of over 40 shows across the three venues during spring/summer 2014. One of the most defining choreographers of the twentieth and twenty-first centuries, Matthew Bourne, has revealed his plans to revive his classic productions of The Car Man and Edward Scissorhands. This is addition to opening a new, dedicated rehearsal and studio space for his company New Adventures which currently resides at Sadler’s Wells. This would give the company the opportunity to do much more with their resources, a plan which is hoped to be in place within two years. As a choreographer who is renowned for his ability to reinvent well-known classics such as his Tchaikovsky trilogy – Nutcracker!, The Sleeping Beauty and the all-male Swan Lake – Bourne is famous for his story-telling. In reviving two more of his older pieces, following his 25th celebrations and the revivals of his very first pieces, Bourne will be able to appeal strongly to young audiences and perhaps even those new to dance in search of alternative productions. Bourne has been noted to have said that his New Adventures company is also about to enter a period of development and growth over the next two years, which will include the revivals of crowd-pleasing hit shows alongside new large and medium-scale projects. With both The Car Man and Edward Scissorhands, Bourne hopes to excite young people about dance, supporting the fact a recent article online recently claimed that young boys would rather become dancers than take on a role such as a fireman. Another exciting venture to look forward to for Bourne and New Adventures is as well as rehearsing and workshopping their own shows, Bourne has said a new, potential premises would allow New Adventures to work with emerging choreographers and expand its dance influence considerably. If 2013 wasn’t busy enough for the company, New Adventures is also preparing to launch tours of three shows – Swan Lake, Lord of the Flies and Sleeping Beauty, featuring more than 70 dancers.